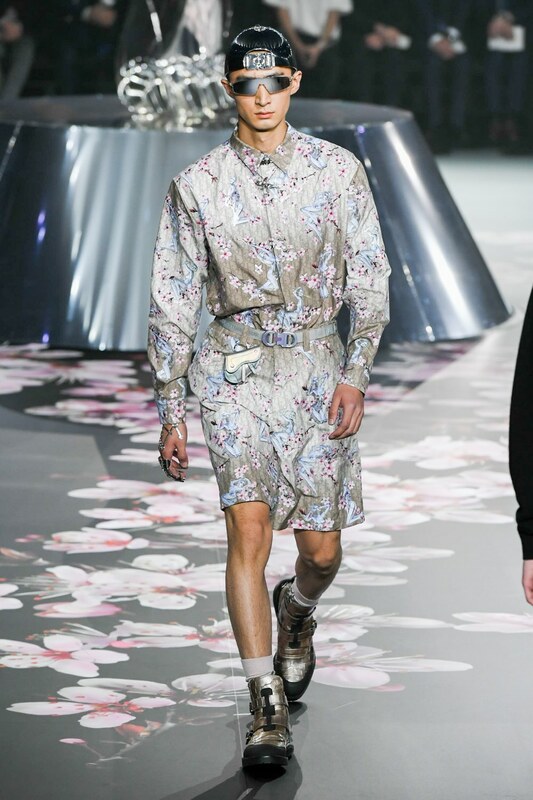 Following his triumphant first collection with Dior back in June, Kim Jones is back with a very futuristic Pre-Fall collection, which just premiered in Tokyo earlier today. This time enlisting Japanese artist, Hajime Sorayama, which designed some of the new Dior graphics and prints as well as the 50+ foot femme bot statue that was the centerpiece of the runway show. 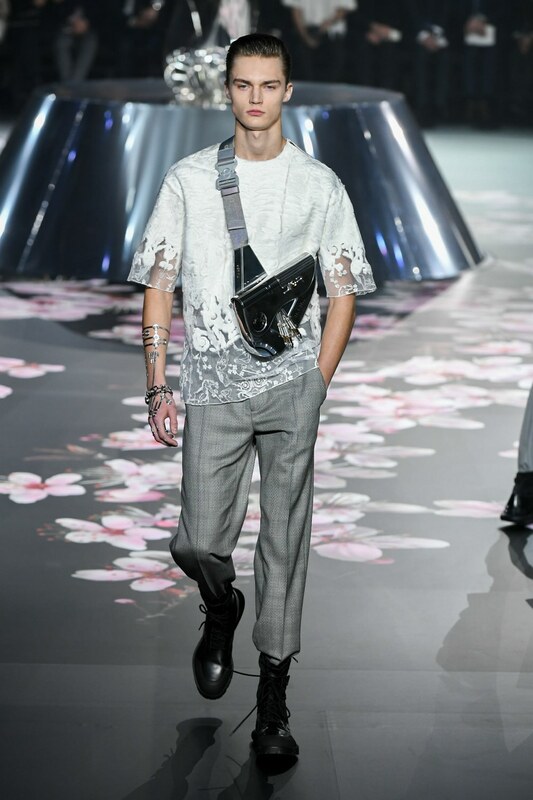 In addition to Sorayama’s art, Dior continued their collaboration with Matthew Williams of Alyx, who co-designed various accessories including bags, hats, and belts. While this collection is different from Kim Jones’ inaugural SS19 collection, there is still that sense of elegance and attention to detail. However this Pre-Fall offering takes those pre-existing elements and wraps them in a metallic color palette with a futuristic motif which reflects Sorsyama’s artwork & influence. 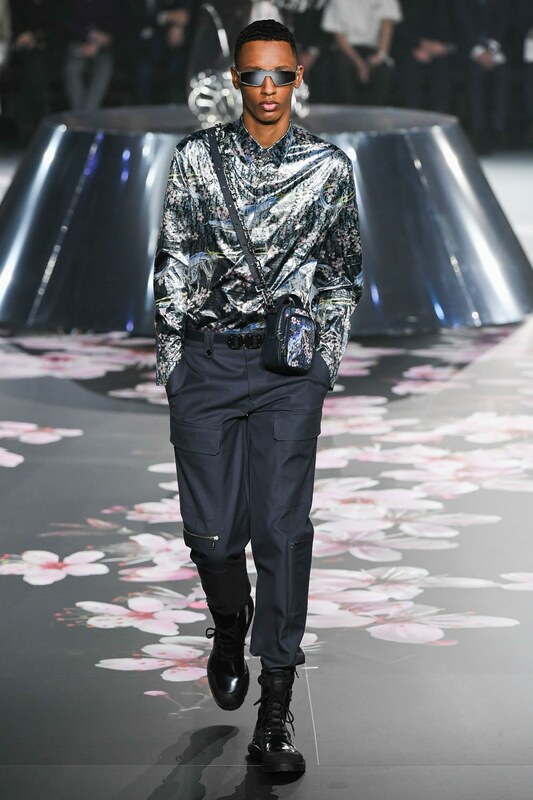 Some of the standout pieces in this collection include the tactical harness, the blue iridescent puffer jacket, the grey belted trench coat, and the Sorayama artwork infused floral printed garments. 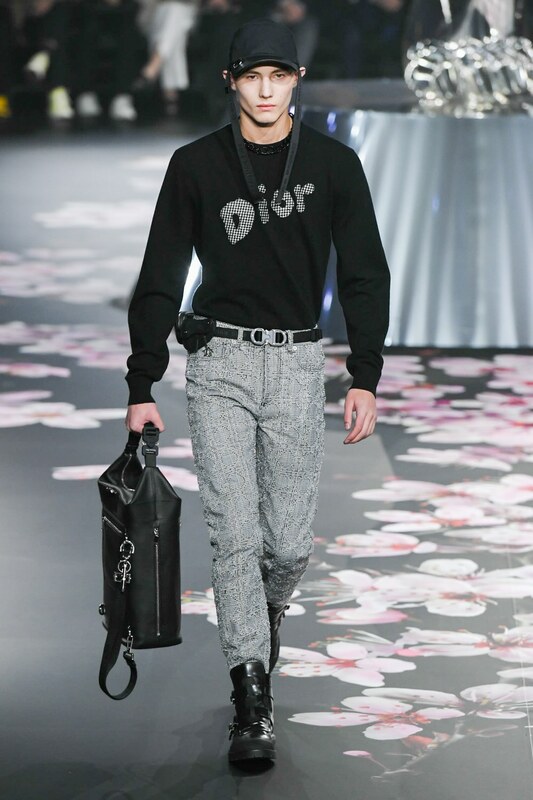 Dior’s SS19 collection will begin to deliver to retailers in January, while this collection will be expected to hit stores around June of 2019.